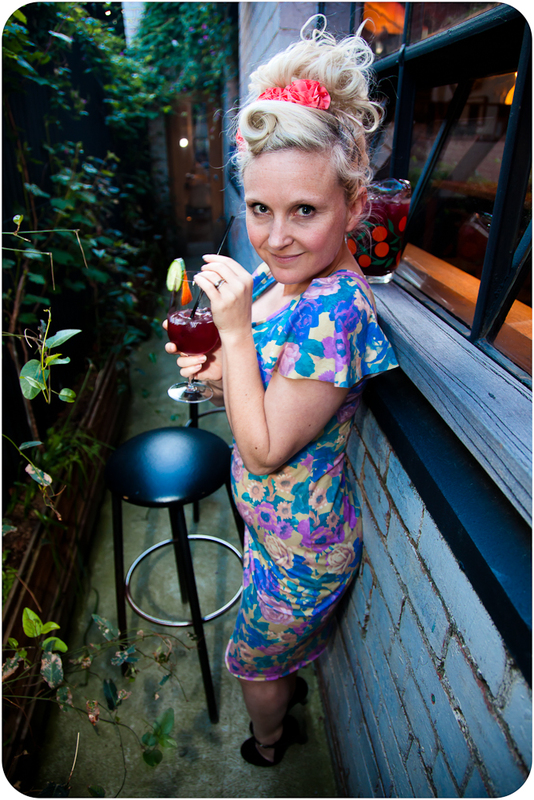 Veronica Darling: Sew Weekly: Yum Sangria! Happy Monday! I'm on HOLIDAYS! Of course, being my first proper day off for a while, I'm going to spend it sewing, playing video games and blobbing around (just like I would have during school holidays but without the sewing part... watching RAGE video clips that I'd taped was probably my whole Year 10 school holidays!) and thought I'd show you my 'Spanish Harlem' themed dress from last week's Sew Weekly! 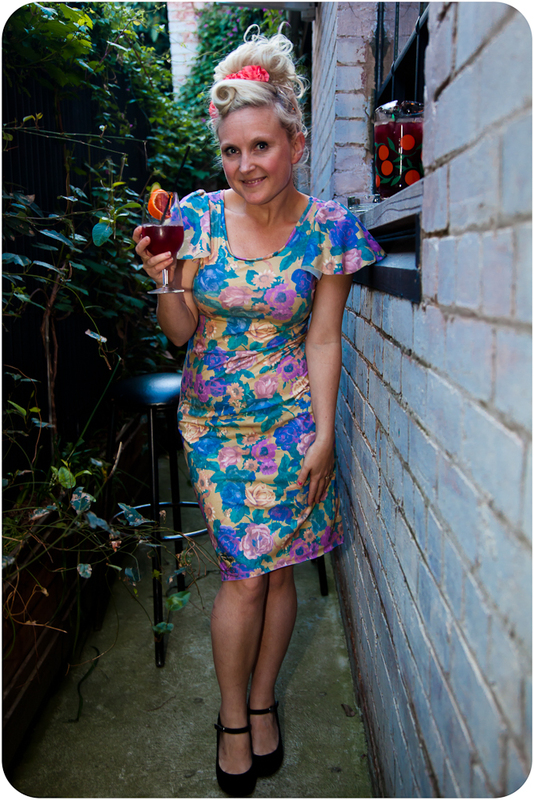 My post at Sew Weekly explains how I came about sewing this dress, but I wanted to gush over my friends' bar in Brunswick East! It's called Mr Wilkinson, and on Lygon Street, so if you stroll past that area near the East Brunswick Club, you'll spot it across the road. I gush because it's a great place for Sangria, and where we took these gorgeous photos last week. I gush because it's the local hang out for most of my friends. 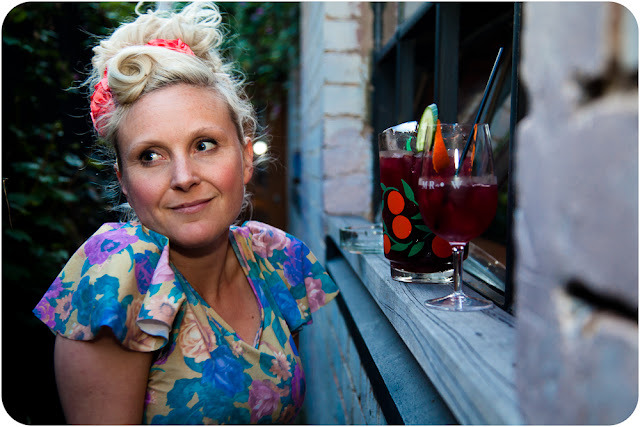 I gush because Ry Ry made such gorgeous Sangria for these photos! And I gush here, because they don't have a website, or facebook or twitter and hey, they probably don't need all the online stuff, because it's really the face to face, good conversations, good wine and food IRL stuff! BUT, Lucy from the Design Files wrote up a great piece after the it first opened, so you can see a few more of the designery shots, as her partner runs the place with my friends. Now that it's daylight savings/summertime here in Australia I'm just HANGING out for those warmer evenings to spend chit chatting, and hanging with friends. After my trip to Cambodia, I reckon it'll be just right for that kinda stuff! 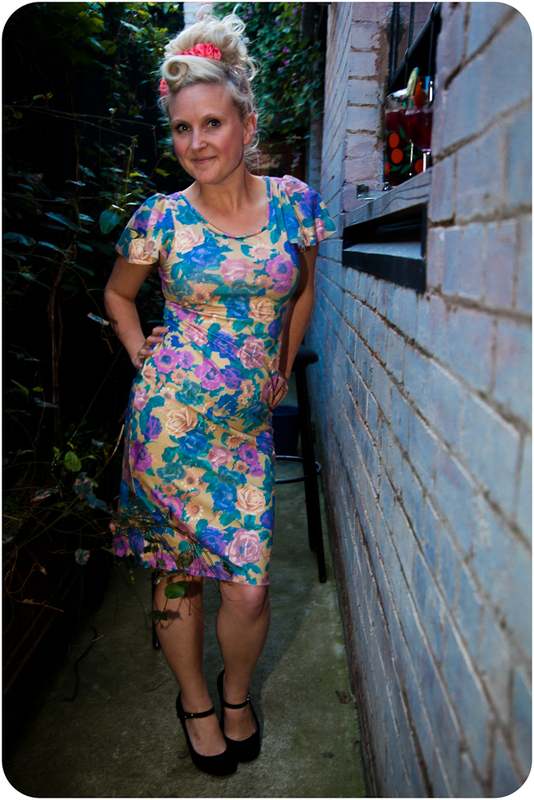 Once again, I've sewn with a stashed thrifted floral material, it's stretch knit but has a little more synthetic feel to it, I didn't need to hem the edges for the hem or the floppy sleeves so it's quite hardy and not frayish! I've got more fabric left over, so thought I'd keep this dress longer and make a super short and tight 80s skirt as well, to wear with boots! Happy Holidays! I love this dress - the flouncy sleeves are fantastic! 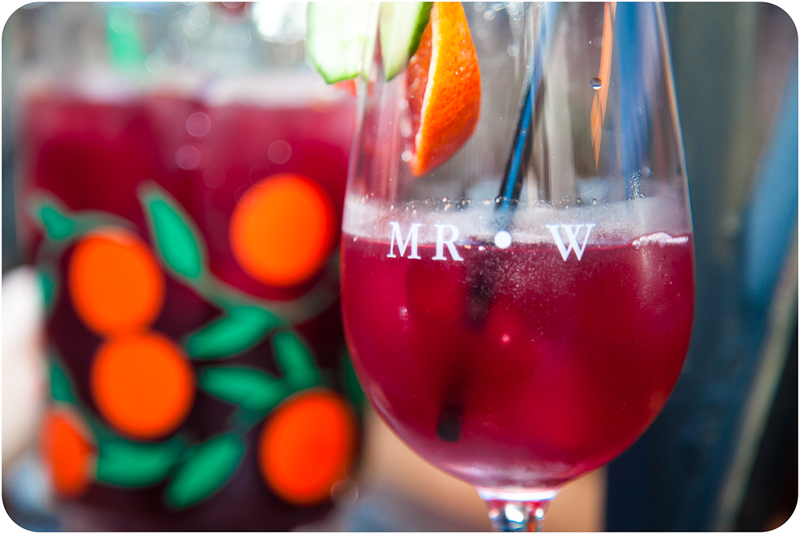 You've made me want sangria now too! Those drinks do look fabulous and it's only 7am. Ha ha ha. It's warming up nicely in Brisvegas. I love steamy summer nights. The dress is fab. Mmmm...Sangria! Nah, it's way to early in the day for that. I saw your dress on Sew Weekly and loved it...still do! YAY! Have a fun day off!! Loved this dress! looks like a great place! and how amazing is your hair???!!! Enjoy your holidays! YUM, sangria!! 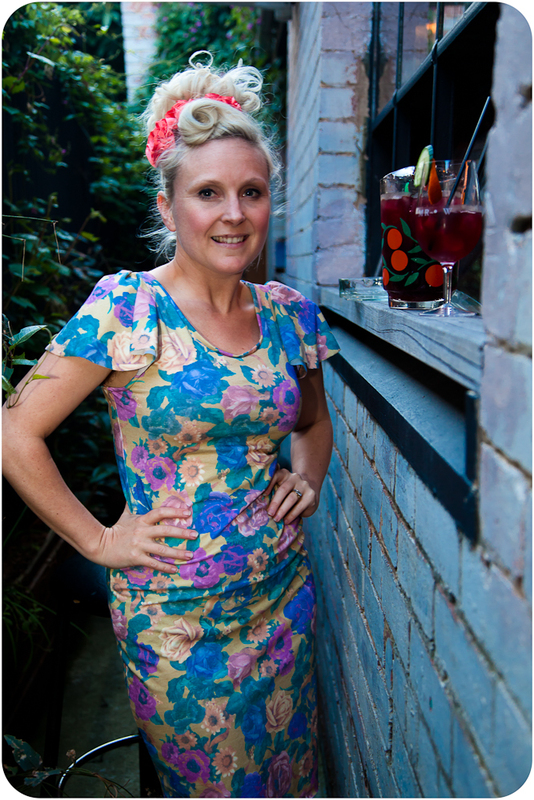 You look so cute in this formfitting floral, suits you to a T!! I hope you enjoy your holidays, and wish you lots of fun in the sun...! I love that material! It looks great on you. I LOVE these photos the lighting is just perfect and so is your dress. I love the sleeves.